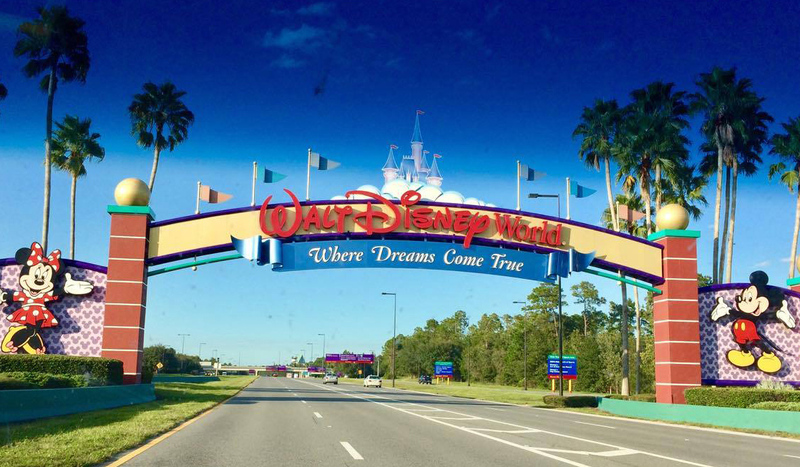 Home » Blog » Walt Disney World » Should I Take a Baby to Disney World? 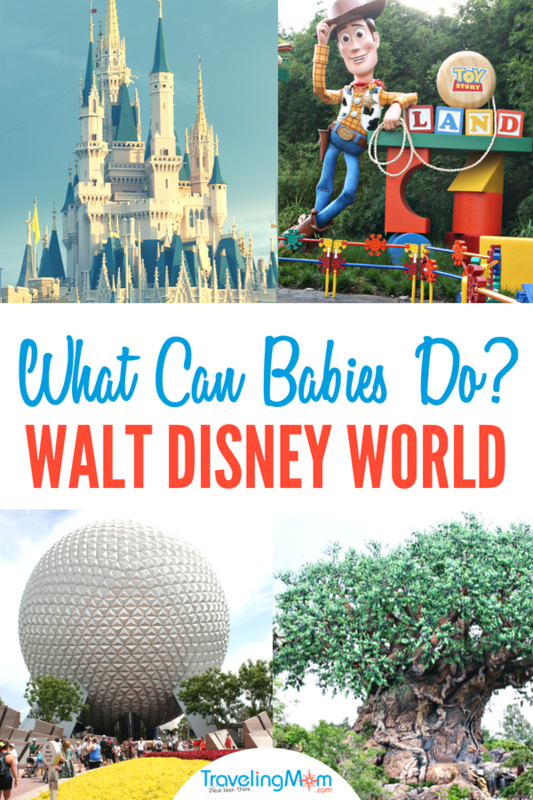 Wondering if you should take a baby to Disney? With a bit of pixie dust (and plenty of advanced planning!) you’re bound to have a magical time at Disney with a baby. 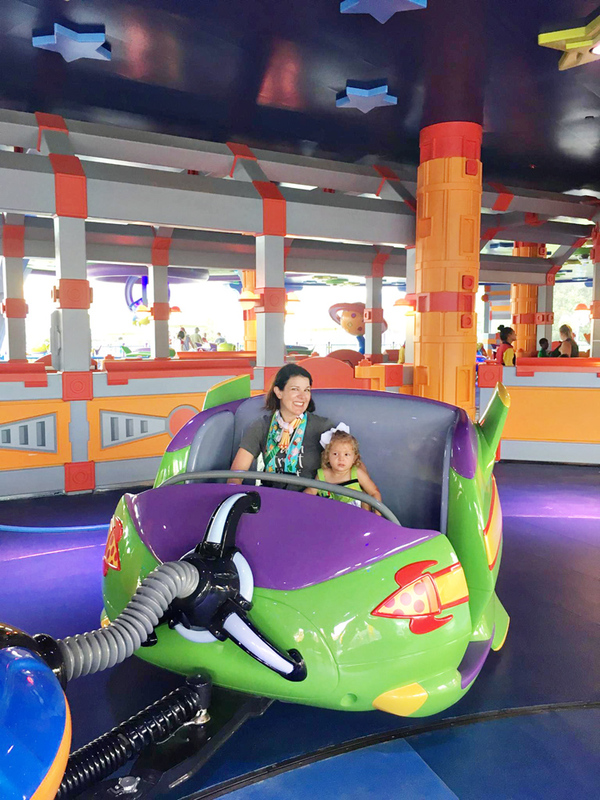 Our Day Trips TravelingMom Julie Bigboy shares which Disney World rides are best for babies along with some helpful travel tips for little ones. Please note that this post contains affiliate links. If you click on them to buy one of our recommended items, TravelingMom will get a commission. 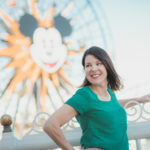 Should You Do Disney With a Baby? 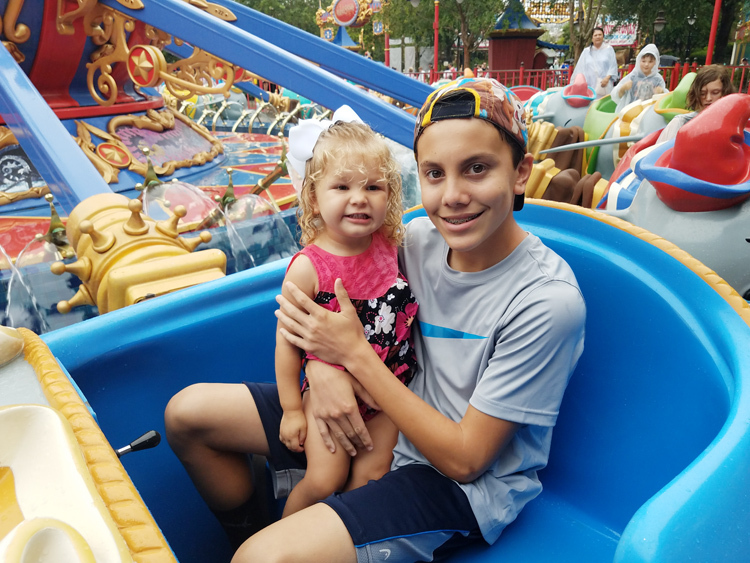 I’ve been taking my babies to Disney parks since they were infants. I even traveled to Disney World alone with my baby when she was just 5 months old! There’s actually quite a bit you can do at Disney with a baby. I’ve listed all the Disney World rides in this post that haven’t any height restrictions, making them ideal for taking on the youngest guests. Some of the suggested rides have low height requirements that are appropriate for some tall babies or toddlers (32″ or taller). 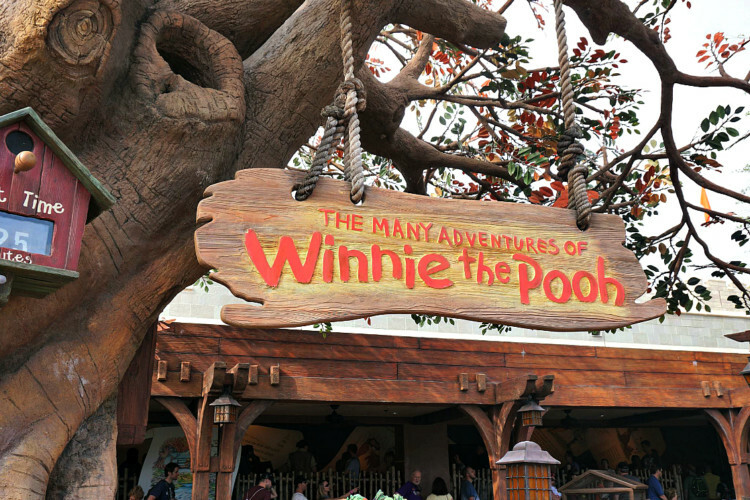 Why Are These The Best Disney World Rides for Babies? I will point out that some of these attractions require that your baby sit next to you on the seat and not be held. However, this is often up to the discretion of the Cast Member. The ride operator will instruct you at the time on how your baby should be seated. I once had my sleeping 5 month old in a front carrier on Winnie the Pooh and the Cast Member stopped the ride and instructed me to take my baby out of the carrier and turn her forward facing, with her legs under the lap bar. Another time, on the same attraction, they asked me to have her sit next to me on the seat and not sit on my lap. Therefore, the information provided here may change, depending upon Disney policy or Cast Member choice. I have grouped together attractions in each of the four Disney World parks from mildest to more cautionary. While some rides do not have a height requirement, allowing babies to ride, some attractions could still be too rough or intense for infants. If a particular ride is in question, I recommend watching first before boarding. Then you can determine if the attraction is appropriate for your child. Consider Bringing Reinforcements – Disney World is the best place for a family vacation! Consider bringing reinforcements in the way of extra hands – grandparents, aunts, uncles, and cousins who can help with the baby and enjoy a Disney World vacation alongside you. Baby Doesn’t Need a Park Ticket – Your baby (two and under) will not require a Disney Park admission ticket for their visit. Reserve Rides Before Your Trip with FastPass+ – FastPass+ is a great way to maximize time and minimize waits, especially important when traveling with a baby! When planning your Disney World trip, you’ll have the opportunity to choose FastPass+ for certain attractions, character greetings and shows in the Parks. This will allow you to skip lengthy standby lines. Keep in mind when booking FastPass+ you won’t need to make a reservation for the baby (since they don’t have a ticket). Use the Free Rider Switch Pass System – If you have other attractions you’d like to ride that baby can’t go on, use Disney’s Rider Switch pass. TravelingDad outlines how the Rider Switch process works at Disney World. What Should You Bring to Disney with a Baby? Stroller/Front Carrier/Hold in Your Arms – Your baby may only weigh a “few” pounds, but if you’re planning on holding her all day, believe me, your arms are going to be aching! Consider bringing several options for holding your baby throughout the vacation. A stroller is ideal for letting baby lie down, stretch out and nap (TravelingMom recommends the City Mini Stroller). Stroller baskets are also a nice place to hold the diaper bag and any other things you’ll need throughout the day (water bottles, extra clothing, etc). There is designated stroller parking near all Disney World attractions. I also suggest bringing a front carrier for babies. Standing in long lines while holding a sleeping or wiggling baby can be tiresome. Having the baby in the front carrier will free up your arms. There are also many attractions on which you can ride with a baby in a front carrier (read on for more details!). I’ve started with Magic Kingdom because Disney World park has the most attractions, as well as the highest number of rides without height restriction. So many great things for baby to enjoy here and for families to ride together. If you’re traveling to Disney World with a baby, the Magic Kingdom is definitely where you should aim to spend a good portion of your time if you want to take on the attractions together. Dumbo the Flying Elephant (FastPass+) – Gentle up and down motion (that you can control) with spinning. Has a lap belt for security. May be able to ride with baby in a front carrier, sitting on lap and seated on the bench. “it’s a small world” (FastPass+) – Slow boat ride indoors with vibrant colors and music. No restraints. May be able to ride with baby in a front carrier, sitting on lap and seated on the bench. 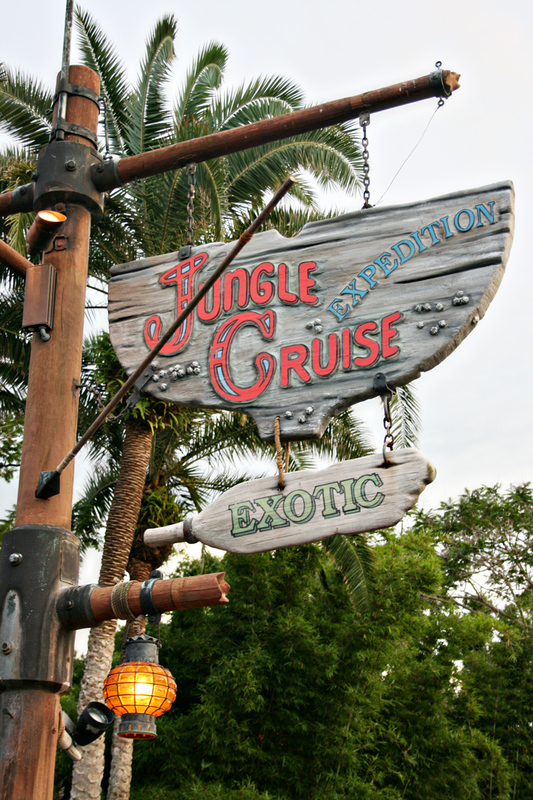 Jungle Cruise (FastPass+) – Slow boat ride outdoors in a tropical setting. No restraints. Cast Members will assist getting in and out of the boat as there is a large step. May be able to ride with baby in a front carrier, sitting on lap and seated on the bench. Liberty Square Riverboat – Gentle boat ride outdoors on the Rivers of America. Mostly standing room with limited seating around the boat, no restraints. May be able to ride with baby in a front carrier, sitting on lap and seated on the bench. The Magic Carpets of Aladdin (FastPass+) Similar to Dumbo, with up and down motion you control. Has a camel that “spits” water on riding guests, so there is a chance of getting spritzed. Outdoor ride vehicles holds 2-3 guests and has a lap belt for security. May be able to ride with baby in a front carrier, sitting on lap and seated on the bench. The Many Adventures of Winnie the Pooh (FastPass+) – Slow indoor ride vehicle that holds 2-3 guests with lap bar. May be able to ride with baby in a front carrier or seated on the bench. Queue has play area that’s appropriate for toddlers. Peter Pan’s Flight (FastPass+) – Gentle indoor ride vehicle that holds 2-4 guests with lap bar. May be able to ride with baby in a front carrier or seated on the bench. Queue has play area that’s appropriate for toddlers. Prince Charming Regal Carrousel – Swiftly moving merry-go-round with one horse per rider. Adults may stand next to baby riding on horse (belt restraint) or may sit together on a bench (no restraint). Main Street Vehicles – Slow vehicles ride down Main Street U.S.A. No lap belt or bar. May be able to ride with baby in a front carrier, sitting on lap and seated on the bench. Will be required to fold up stroller if bringing it aboard. Tomorrowland Transit Authority – Slow moving ride goes both indoor and outdoor and holds 2 guests per bench with no restraints. May be able to ride with baby in a front carrier, sitting on lap and seated on the bench. 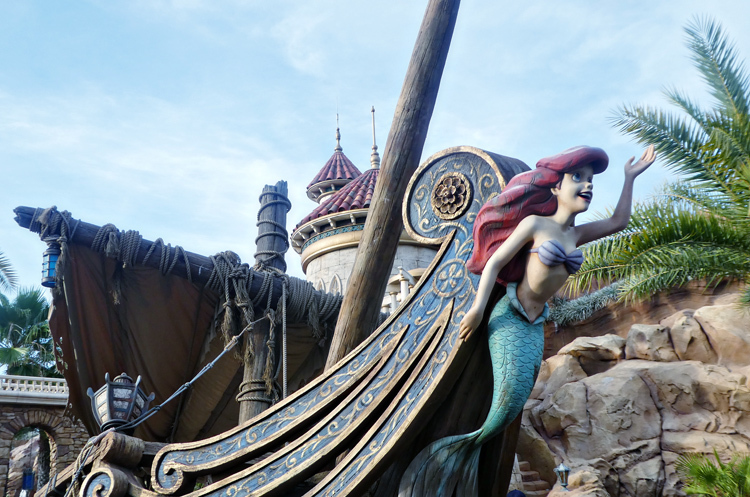 Under the Sea – Journey of the Little Mermaid (FastPass+) – Slow indoor ride vehicle that holds 2-3 guests with lap bar. May be able to ride with baby in a front carrier or seated on the bench. Walt Disney’s Carousel of Progress – Slowly rotating building with Animatronic show inside. Individual cushioned chairs with no restraints. May be able to ride with baby in a front carrier and sitting on lap. Not terribly thrilling for infants (approximately 20 minutes) but it’s a dark and comfortable place to breastfeed if you wish. Walt Disney World Railroad – Stations on Main Street U.S.A., Fantasyland and Frontierland- Gentle outdoor train ride around the perimeter of Disney World. No restraints. May be able to ride with baby in a front carrier, sitting on lap and seated on the bench. Will be required to fold up stroller if bringing it aboard. Astro Orbitor – Swiftly spinning with up and down movements. Attraction is quite high and may cause parents stress when riding with a little one. Lap belt restraint. Buzz Lightyear’s Space Ranger Spin (FastPass+) – Slow indoor ride vehicle that holds 2-3 guests with lap bar. Two controllers and additional controller that rotates vehicle in a spinning motion. May be able to ride with baby in a front carrier, sitting on lap and seated on the bench. Noise and flashing lighting in a dark setting may be overwhelming for youngsters. Haunted Mansion (FastPass+) – Slow indoor ride vehicle that holds 2-3 guests with lap bar. May be able to ride with baby in a front carrier or seated on the bench. “Spooky” aspect may be off-putting for older babies and toddlers. 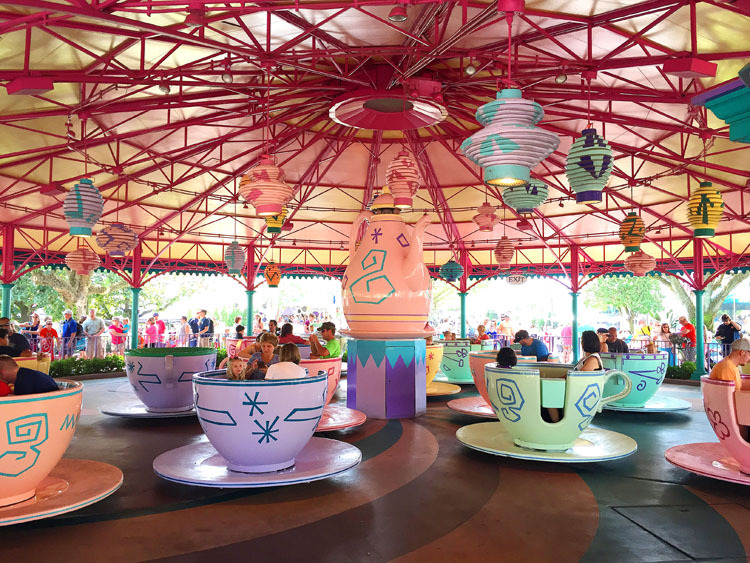 Mad Tea Party (FastPass+) – Quick moving, spinning ride with speed that varies dependent upon how fast guests spin the internal ride wheel. No lap belt or bar. May be able to ride with baby in a front carrier or seated on the bench. Pirates of the Caribbean (FastPass+) Slow boat ride in an indoor pirate setting. No restraints. There is a slight drop in the ride and several times where guests may get wet. May be able to ride with baby in a front carrier, sitting on lap and seated on the bench. Tomorrowland Speedway – 32″ or taller (FastPass+) – Only toddlers who meet the height restriction may ride with a guest 14+. Vehicle is powered by a foot control that the child will not be able to reach (adult passenger controls the vehicle). May be too challenging for tall babies or younger toddlers to control the steering wheel themselves, though they might enjoy riding while another person steers. Holds 2-3 guests with lap belt restraint. Must be seated on the bench. Check out these additional tips on the best rides at Magic Kingdom with toddlers under 48″. There aren’t many rides babies can go on at Animal Kingdom. However, babies will still enjoy this park for it’s lush, “zoo-like” feel with plenty of animals to see. The shows like Festival of the Lion King and Finding Nemo: The Musical are bright and fun for older babies to watch. Or enjoy character dining with Donald and friends at The Tusker House with these dining tips for babies. 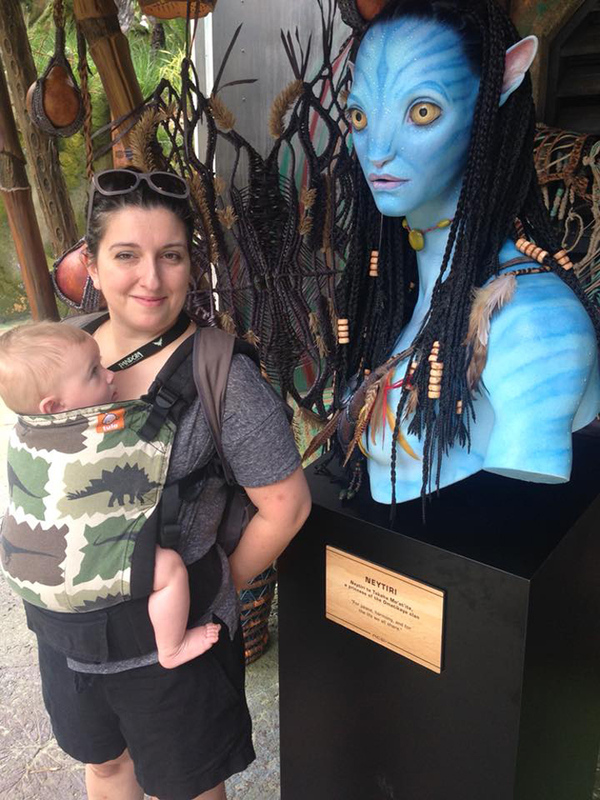 The following are the best rides for babies of all ages at Animal Kingdom. 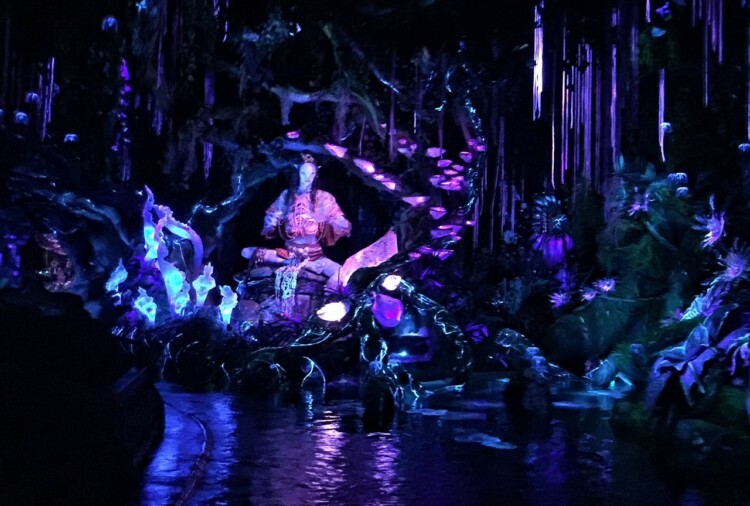 Na’vi River Journey (FastPass+) – Slow boat ride indoors with vibrant colors and music. No restraints. May be able to ride with baby in a front carrier, sitting on lap and seated on the bench. TriceraTop Spin – Similar to Dumbo, with up and down motion you can control. Outdoor ride vehicles holds 2-3 guests and has a lap belt for security. May be able to ride with baby in a front carrier, sitting on lap and seated on the bench. Wildlife Express Train – Gentle outdoor train ride around the perimeter of Disney World. No restraints. May be able to ride with baby in a front carrier, sitting on lap and seated on the bench. Will be required to fold up stroller if bringing it aboard. Kilimanjaro Safaris (FastPass+) – Bumpy outdoor Jeep-style ride without any restraints. Children will need to be seated on the inside row of benches, which will make it more challenging for them to see the animals. May be able to ride with baby in a front carrier, sitting on lap and seated on the bench. While there aren’t any height restrictions on this ride, infants may be jostled quite a bit, so ride at your own discretion. 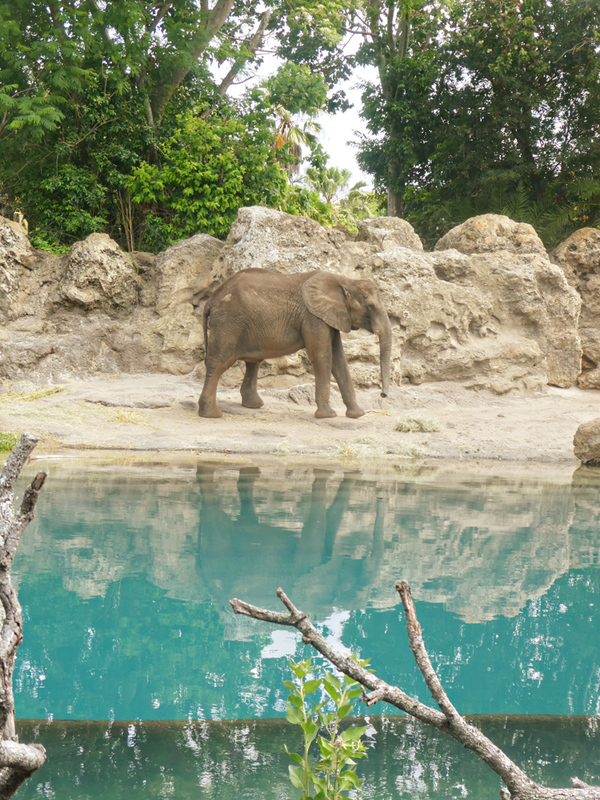 Read more tips about Kilimanjaro Safaris including what is the best time to take this ride. For additional tips on what to do with older kids, see this post about Animal Kingdom with preschoolers. Epcot has a reputation of being awesome for foodies (making it a great park for a girlfriends’ getaway). However, many of the rides at Epcot do not have height restrictions, so your baby or preschooler can ride at Epcot too. Note that Epcot is very large and quite spread out with two distinct sections – Future World and World Showcase. I like that I was able to take my just-learning-how-to-walk baby out of her stroller and let her toddle. Epcot walkways aren’t too crowded so there’s room for babies to wander. You can walk the loop to get around World Showcase or take an air-conditioned Friendship Boat across the World Showcase Lagoon instead. Frozen Ever After (FastPass+) In the Norway area of World Showcase. Slow boat ride in a dark indoor setting, telling the story of the movie Frozen. No restraints. There is a slight drop in the ride that babies may not appreciate! May be able to ride with baby in a front carrier, sitting on lap and seated on the bench. See these tips on riding Frozen Ever After without the wait. Gran Fiesta Tour Starring the Three Caballeros – Inside the Mexico Pavilion of World Showcase. Slow indoor ride vehicle with a festive theme that babies will enjoy. Benches hold 3-4 guests without restraints. May be able to ride with baby in a front carrier, sitting on lap and seated on the bench. Living with the Land (FastPass+) – Slow boat ride indoors with scenes of nature and gardening. No restraints. May be able to ride with baby in a front carrier, sitting on lap and seated on the bench. 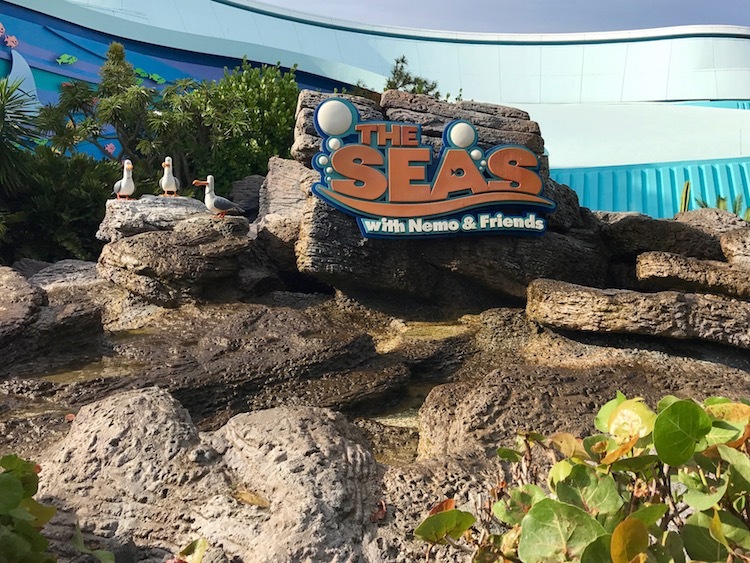 The Seas with Nemo and Friends (FastPass+) – Slow indoor ride vehicle that takes guests on what appears to be an under the sea voyage. Each vehicle holds 2-3 guests without restraints. May be able to ride with baby in a front carrier, sitting on lap and seated on the bench. Spaceship Earth (FastPass+) – Slow indoor ride vehicle . Vehicle holds 2 guests without restraints. May be able to ride with baby in a front carrier, sitting on lap and seated on the bench. Another ride that won’t thrill infants (approximately 15 minutes) but it’s a dark and comfortable place to breastfeed if you wish. Just like at Animal Kingdom, there are very few rides that babies can do at Hollywood Studios. In fact, there is only one here that doesn’t have a height restriction and one additional attraction for taller babies or toddlers. 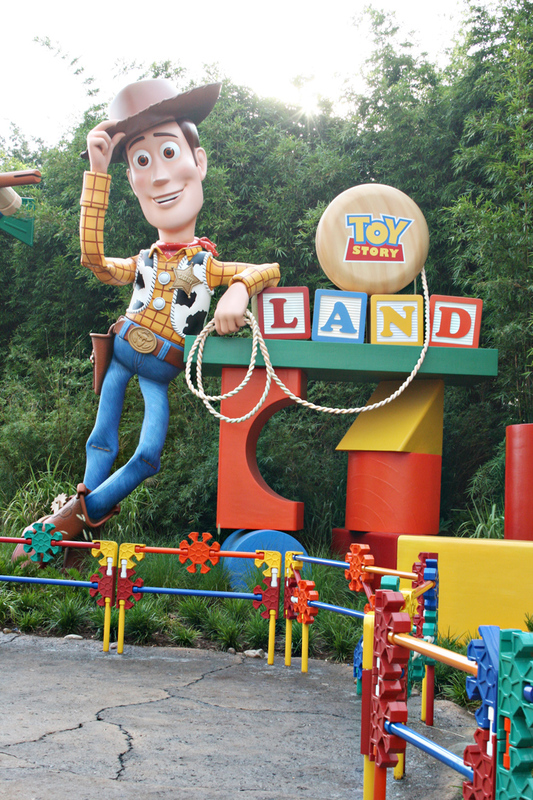 Both of the rides for babies are located in Toy Story Land. However, there are a few other attractions that babies will like, including Disney Junior: Live on Stage! so make sure to grab a FastPass+ for that show. Toy Story Mania! (FastPass+) – Smooth indoor ride vehicle that holds 2-3 guests with individual lap bars. May be able to ride with baby in a front carrier or sitting on lap. Older babies or toddler can be seated on the bench, inside their own restraint though they may be unable to operate the game controller. Alien Swirling Saucers – 32″ or taller (FastPass+) – Only toddlers who meet the height restriction may ride with a guest 14+. Holds 2-3 guests with lap belt restraint. Must be seated on the bench. Vehicle moves swiftly, whipping quickly back and forth. Parents can hold their baby close to prevent potential sliding on the bench. 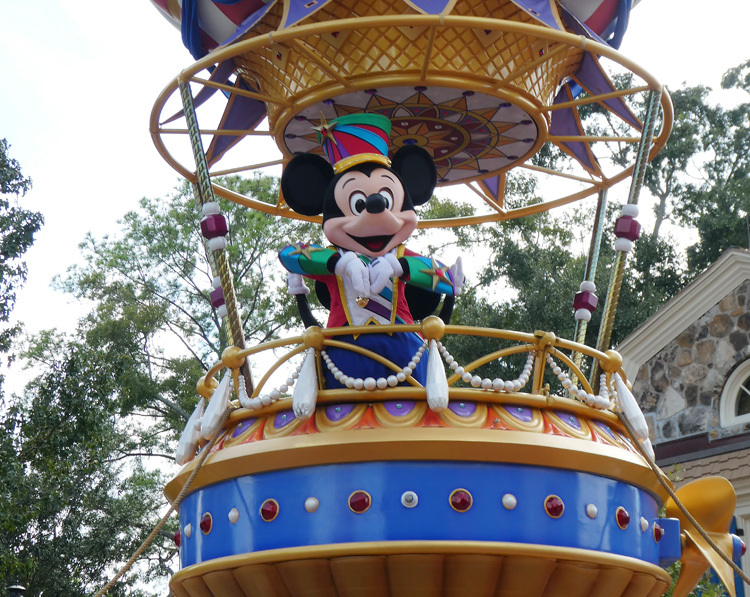 Read more about taking on Disney with a baby including how to handle character greetings and shows or parades your baby would enjoy. You’ll also want to stop in at the Disney World Baby Care centers located at each park during your visit for diaper changes and quiet feeding rooms. Headed to the Happiest Place on Earth? TravelingMom recommends Undercover Tourist for discounted tickets.